Patoranking is a Nigerian musician largely regarded as the pioneer of mainstream reggae-dancehall music. He rose to fame through a collaboration he did with artists such as Konga, Slam, Reggie Rockstone, and XProject. He has, since then, achieved great success following his breakthrough song “Alubarika” which featured Timaya. Patoranking was born Patrick Nnaemeka Okorie in Ijegun-Egba, Alimosho, Lagos State on the 27th of May, 1990 to a family originally from Ebonyi State. His stage name was coined from his first name Patrick. It was given to him by one Jamaican artist whom he met at Alpha Beach in Lagos. He grew up with his family in Ijegun-Egba Satellite Town before later relocating to Ebute Metta. He attended Citizen Comprehensive College Epe, and later Jibril Martin Memorial Grammar School in Iponri. Upon completion of his secondary school education, Patoranking started performing as a dancer at street jams and carnivals. He soon started singing and in May 2012, released his first song, a fusion of dancehall and Fuji music which was titled “Iya Bisi” and featured Qdot and Kbaj. He later released another song titled “Up in D Club” after signing with K’Solo Igberaga Records. His work got the attention of Dem Mama Records CEO, Timaya, who helped him with vocals on the song widely regarded as his breakthrough track. “Alubarika”, which literally translates to “God’s Blessings” in the Hausa language, was released simultaneously with a video to rave reviews. The artist himself describes the song as a summary of his life as a musician. It inadvertently opened doors for him in terms of building a fanbase as well as collaborating with other industry heavy hitters. Another record deal followed after the success of the song. The fast-rising superstar put pen to paper with Foston Musik which he released “Girlie O”, a chart-topping, critically acclaimed single. 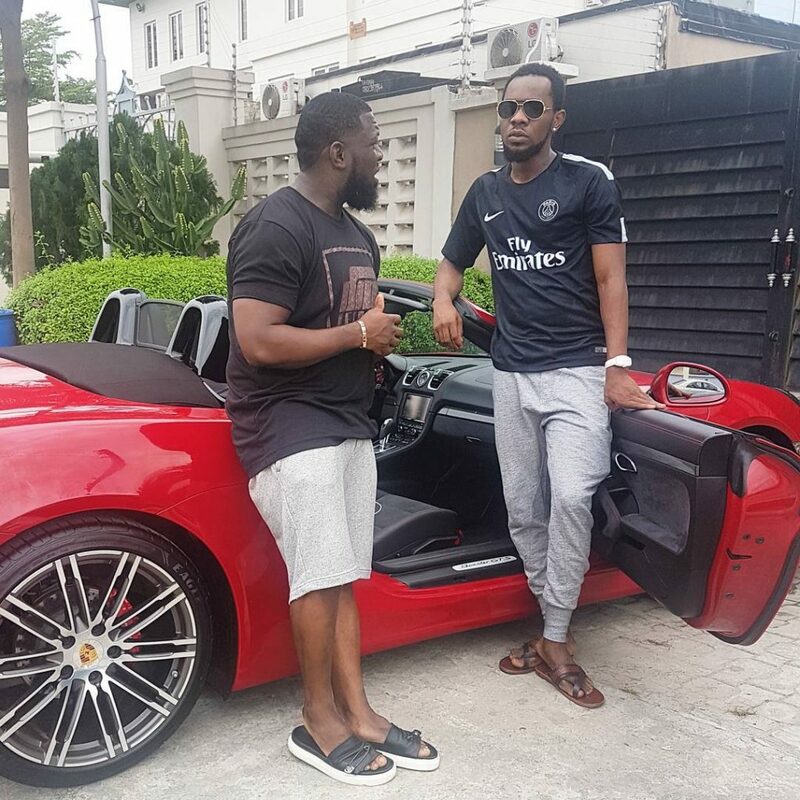 The song’s music video was shot in London and featured Patoranking as a hero after he rescues his neighbour from domestic violence from her partner and professes his love for her. A “Girlie O Remix” followed a few months later, featuring Tiwa Savage. Tiwa revealed during an interview that she was in love with the original song and actually reached out to Patoranking to do the remix. Their collaboration was a huge success as it got heavy airplay and was listed on several countdowns across Africa. A collaboration with fellow upcoming artist Seyi Shay on her song titled “Murda” followed next. The song which was produced by Dokta Frabz was released on Fools Day, April 1st, 2014. There was a huge speculation which looked to have been fueled by both artists’ management that the pair were a couple. That, however, was just a prank or a promotional tactic as has been widely speculated. That did not stop the two of them from nailing the visuals to the track which was released a month later on 11 May, 2014. 2015 was an even better year for the artist. He first announced via popular social media application Instagram that he signed on to VP Records, a successful reggae and dancehall music label and distributor based in the United States and was founded in 1979. He marked the deal with the release of two singles; “Daniella Whine” and “My Woman, My Everything” which were absolute chart toppers across the African continent. Patoranking’s musical development was clear for everyone to see. International show promoters recognized this and he was soon performing on stages in Jamaica, the United States and U.K. His first full body of work titled “God over Everything” (G.O.E) was released in August 2016 and made its debut at 4th place on Billboard’s Reggae albums chart. Patoranking is currently said to be in a longterm relationship with his girlfriend who is just known as Leila. It has been suggested that the couple has a child together following a number of pictures posted online in 2015. The Alubarika singer posted pictures of what was later confirmed to be his younger brother but had already sent the internet into a spiral with many suggesting it was his son. In 2017, however, he has posted more pictures, although without adequate captions or clarifications, of his girlfriend pregnant and then of him holding a child in his hands with her laying down beside him on a hospital bed. Both the artist and his management have not released any statement regarding the issue. Patoranking appears to be doing very well for himself having fully broken into the international dancehall music scene. He currently lives in a townhouse in Metro Garden, Lekki, Lagos State. His home boasts a recording studio which makes his work very easy. He also has a number of luxury cars which include a 2014 Range Rover SUV, a Red Porsche, and a Mercedes G Wagon. Profession: Dancer, Singer, Songwriter and TV Personality (Patoranking is a judge on the singing competition The Voice Nigeria alongside Waje, Tuface, Timi Dakolo and Yemi Alade).